Discontinued Matilda with 2.40 carat Princess Center - 14k Yellow Gold - Ring Size 5.75-7.75 was added to your cart. 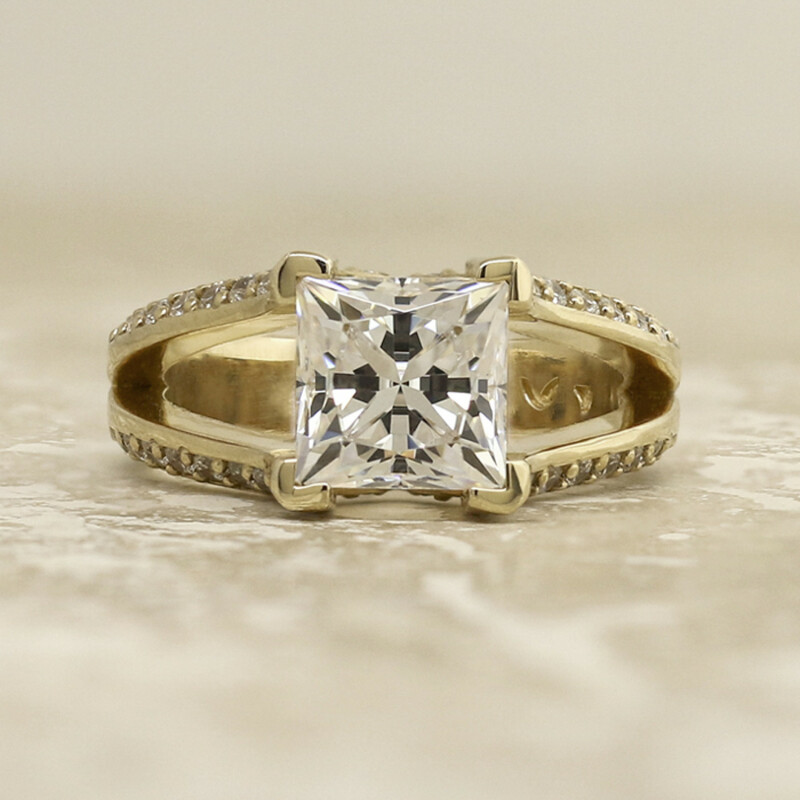 This split-band design of the Michael Nashef collection features a Princess cut Nexus Diamond Simulant stone in a lofty center setting with the Intersecting Hearts design stretching underneath. 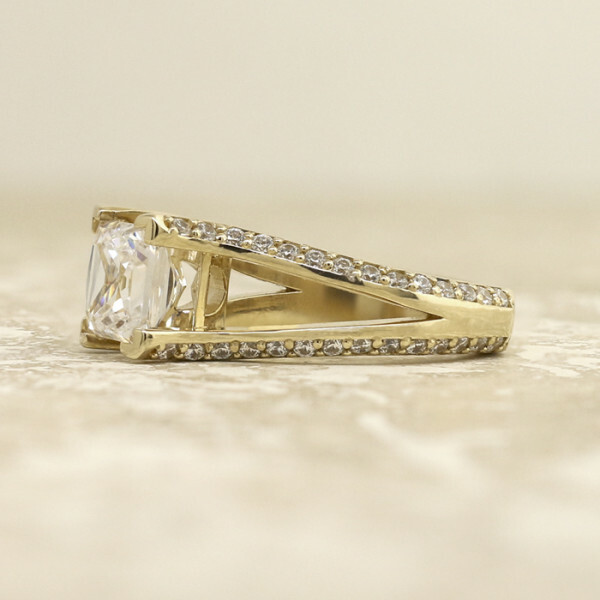 A subtle Euro-style shank gives it an extra modern touch and helps keep this affordable engagement ring right-side up on your finger.